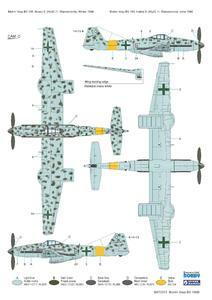 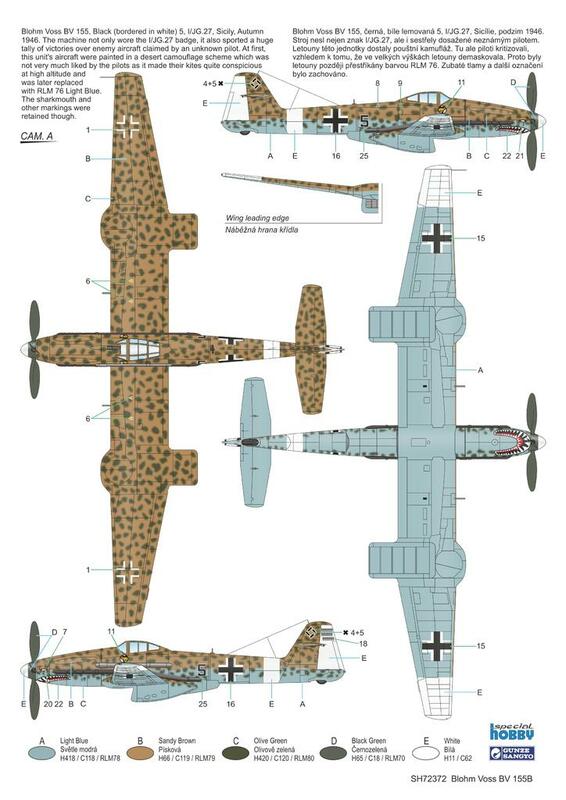 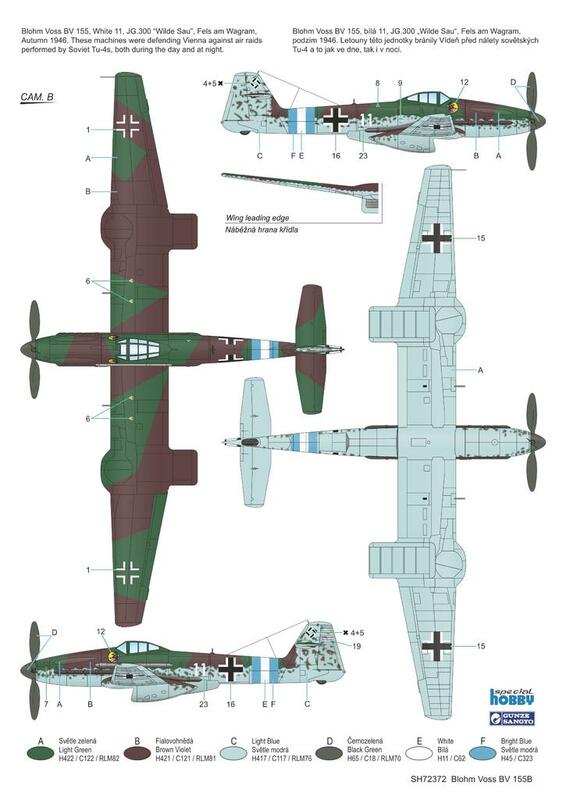 Model of a German high altitude fighter aeroplane wearing ‘what-if‘ colour schemes. 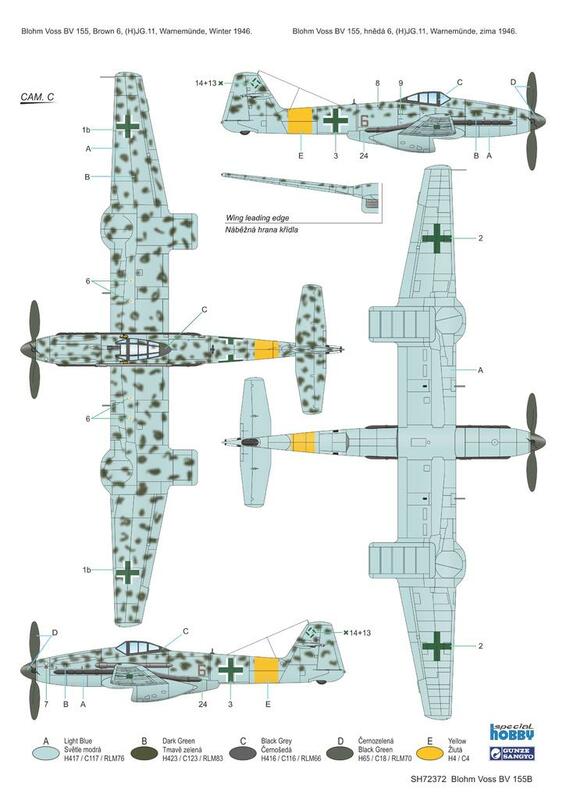 The kit consists of four grey styrene sprues and one clear sprue with canopy parts, decal sheet, resin cast detail parts and full colour instruction booklet. 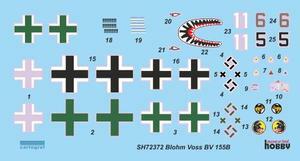 The decals offer markings for three schemes.